Radisson Blu Edwardian, the international group behind a number of high-end hotels, is reviewing its comms as it looks to emphasise the chain's premium image. 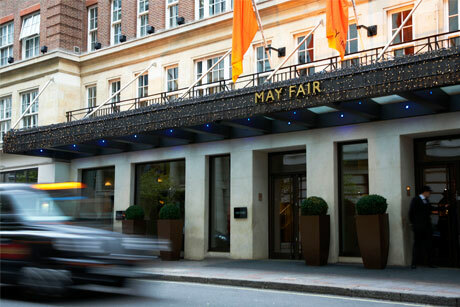 PRWeek understands that the group, which owns hotels in London and Manchester including The May Fair Hotel, is reviewing its retained consumer work, currently with Mason Williams. The brief, understood to be in the low to mid-six-figure range, was said by one well-placed source to focus on burnishing the group's image. 'It's about raising the profile and premiumising the hotels so that they are even more aspirational,' he said. Work overseen by Mason Williams included relaunching the Radisson Edwardian Bloomsbury Street Hotel after a £25m investment. The PR review follows the appointment of Team Saatchi last summer for advertising and media work, with a focus on using social media to engage with young people. Radisson Blu Edwardian is part of the Carlson Rezidor Hotel Group, which operates more than 230 hotels around the world. Radisson Blu Edwardian and Mason Williams were unavailable for comment.